Can New Jersey's Dying Malls Be Saved? Battered by the Internet, Jersey’s iconic shopping malls turn to yoga studios, escape rooms and wine bars to keep the customers coming. On a recent weekday afternoon, there were plenty of open spaces in the parking lot at the Phillipsburg Mall—just as there were plenty of vacant stores inside the mall, which recently lost its Sears and Bon-Ton anchors. The Garden State Plaza is among the state’s more successful malls. 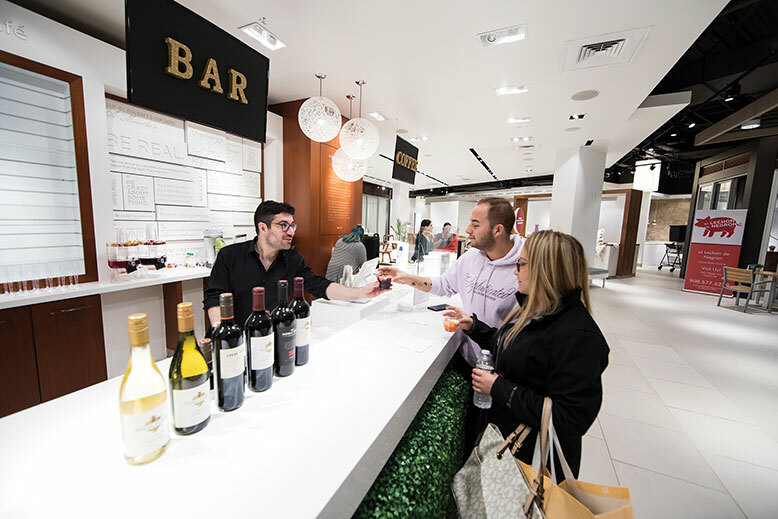 Joel Hernandez and Maria Saldana sample wine at a tasting bar inside Garden State Plaza’s pop-up Public Market. At the nearby Jerk Shack Grill, Edwin Sanchez, Jisele Fernandez and Andrea Bass play cards while awaiting their food orders. Aquamassage tables serve shoppers at Jersey Gardens in Elizabeth.